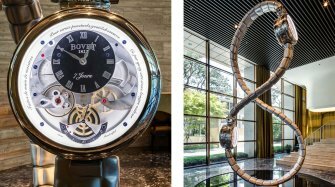 Since it was founded in 1822, Bovet has married the most sophisticated mechanisms with the most refined craftsmanship, including engraving and miniature painting, with unequalled mastery. 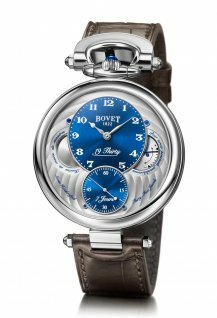 In 2006, under the visionary leadership of its owner, Pascal Raffy, Bovet acquired the renowned manufacture Dimier 1738, and immediately began producing all the parts the maison required, including movements, balance springs and dials. 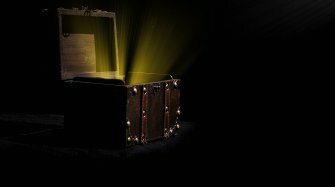 His passion for fine watchmaking also led to the creation of the Amadeo® convertible case system, an astonishing feat of ingenuity inspired by the superb pocket watches made by Bovet in the 19th century for the Emperor of China and collectors around the world. Today, the Maison showcases its excellence through a range of collections, which bring together remarkable models including the Braveheart®, Ottantasei, Astérium and Shooting Star tourbillons, to name just some of its iconic creations. 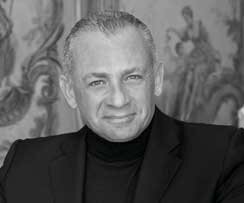 Pascal Raffy becomes sole proprietor of the Firm. Acquisition of the Dimier 1738 Manufactures and Môtiers Castle. Launch of the Amadeo® concept. 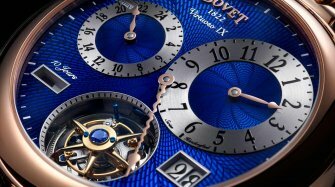 The Bovet Manufacture upholds the tradition of decorative art applied to finely cut and hand-painted dials, thus passing on the unrivalled knowhow that has been gracing the Firm's collections and heritage since 1822. 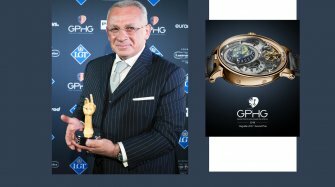 The Firm's timepieces are equipped with highly technical movements, each component of which is enhanced to the uttermost – even those that can be seen only by the watchmakers themselves. 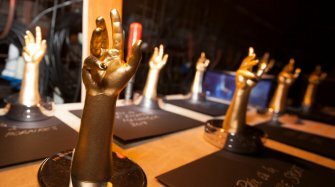 The manufacture uses the most highly skilled decorative procedures, including engraving and miniature painting. 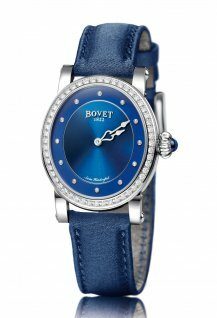 Ever since the nineteenth century, Bovet 1822 has been embodying respect for the traditions of handmade watchmaking. The 19Thirty collection was inspired one of the last pocket watches ever produced by BOVET before it started producing wristwatches. The case is just 9mm thick for a diameter of 42mm. As with every BOVET timepiece, its timekeeping is excellent, and its reliability and seven-day power reserve make it an exceptional watch. 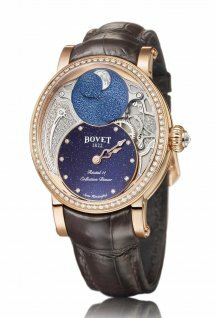 Created in 2010, this collection is the fruit of the partnership between BOVET and the legendary Italian designer. A tribute to the craftsmen in the Manufacture of the same name, this collection is the only one to boast a case with four horns – and a traditional crown position at 3 o'clock. The Fleurier collection is characterised by its loop at 12 o'clock that harks back to pocket watches of the 19th century. 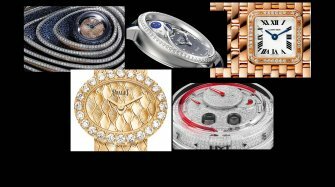 These timepieces can be transformed into wristwatches, back into pocket watches (or sautoir necklaces for ladies), or into table watches – with no tool necessary. 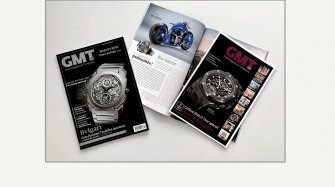 This concept further justifies the use of tourbillon movements manufactured in-house. This collection comprises a series of contemporary chronographs with a Large Date display. 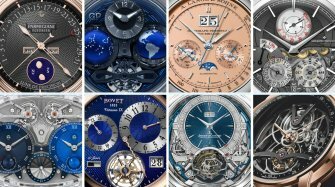 Of all the horological revival stories out there - Blancpain, Ulysse Nardin to name but two - one that’s interestingly linked with China is Bovet. 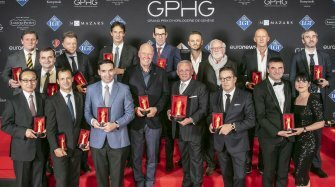 The maison takes its name from a band of brothers, in the early 1800s, who came from the Bovet family in Fleurier, Neuchâtel, a birthplace of Swiss watchmaking. 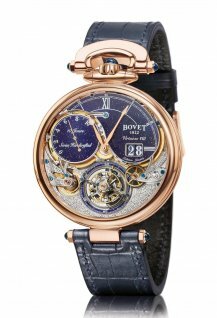 But it was 21-year-old Edouard Bovet in particular, who was sent from a London trading firm to Canton, who brought the Bovet name to China, where he ventured to try his hand at selling exquisitely decorated watches to the Chinese nobility. 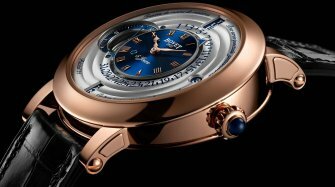 Bovet flourished in the Middle Kingdom, and it was one of the historical touchpoints that eventually enticed entrepreneur Pascal Raffy, more than 120 years later, when he bought the house from a small Geneva firm in 2001 (Raffy now also has the title of CEO, and the house is today officially known as Bovet Fleurier SA, or also Bovet 1822). Today the watches still speak to this Chinese heritage courtesy of stunning enamel and miniature painted designs, but have also branched out into other areas of expertise, including mechanical wonders like the Récital 20 Astérium tourbillon complete with an annual calendar or motorsport inspired pieces produced in collaboration with Italian design house Pininfarina. 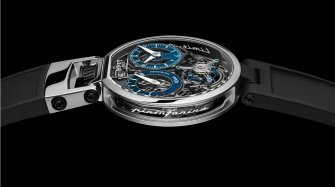 The latter can boast title lead with venerable marques such as Ferrari, Alfa Romeo and Fiat as clients, and as for the joint Bovet watch, cue a standout item: the titanium Ottantasei that weighs in at an impressive 15.54g only. 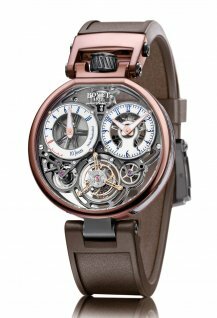 One standout item in the Bovet portfolio is the Virtuoso VII retrograde perpetual calendar, launched in 2015. With its dual dial design (and available in either a black or white lacquered dial) and either working as a pocket or wrist watch, the timepiece can claim the title as one of the most eye-catching, interesting and multifunctional watches around. The watch tells all kinds of time and calendar functions: day, date, month and leap year, while the retrograde calendar display offers a concentric hours and minutes dial all its own. Having a separate hours and minutes dial is an especially thoughtful design item, which leaves room to show off the specially made calibre, which is further decorated with circular Côtes de Genève engraving. For astronomy buffs, a Bovet watchmaking item which plays on notions of time and space – and which has a superb title – is the Récital 20 Astérium. 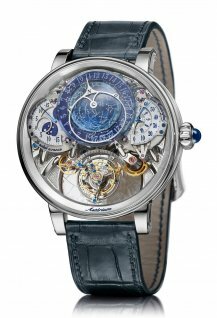 A true feat of mechanical watchmaking, the 10 day flying tourbillon watch is equipped with a night sky annual calendar packed with astronomical functions, and is beautifully set in a special item: a laser engraved dome of translucent blue quartz. 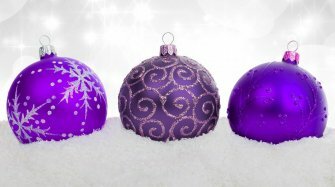 The annual calendar is calculated on a 365.25 day cycle, which measures the actual time of earth’s orbit: 365 days, 6 hours, 9 minutes and 9.77 seconds.